Course Website: Official Website - Visit Teton Reserve's official website by clicking on the link provided. 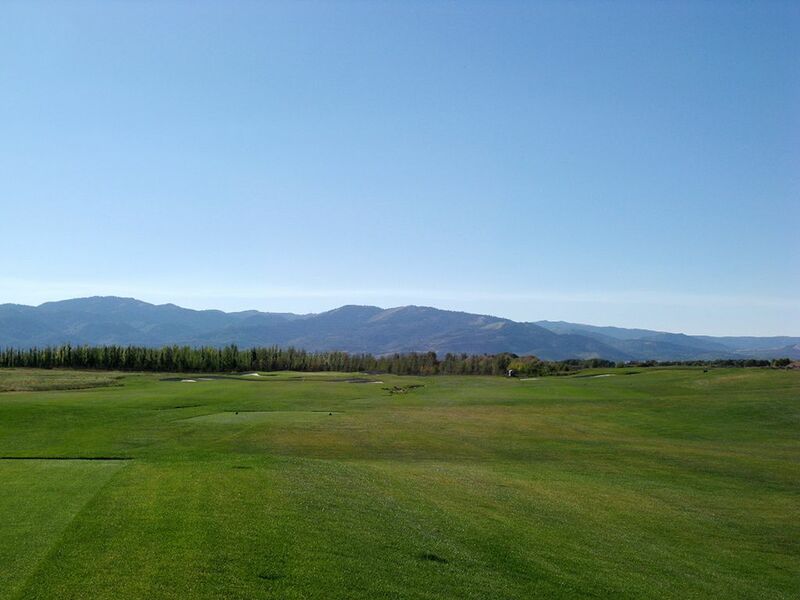 Accolades: Ranked 34th in Idaho on Golf Course Gurus' Best in State list. 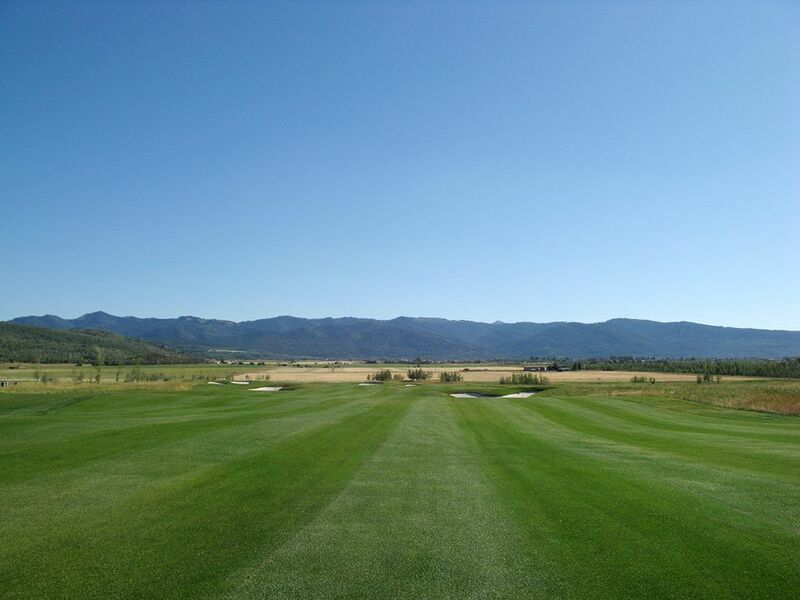 What to Expect: Teton Reserve is a unqiue concept in golf course design, especially by United States standards. The Hale Irwin design is a reversible routing that allows for tees and greens to be setup four different ways to handle four unique routings. For example, on Monday the first tee would play as a par five to the 1st green. On Tuesday though, the first tee box my play to the 3rd green as a par three. The concept is an excellent way of using the same amount of acreage one course requires and utilizing it for multiple routings which should please members that enjoy the variety it offers. Currently the course is only setup for one routing, but there is evidence at some of the greensites where you can see the hole being played from a different fairway. The course features a plentiful number of bunkers, relatively few trees, and just one water hazard comes into play (a creek running through the middle of the par four 12th). Overall the course has an open feeling with wide fairways and expansive views; both of which are welcome sites for most golfers. 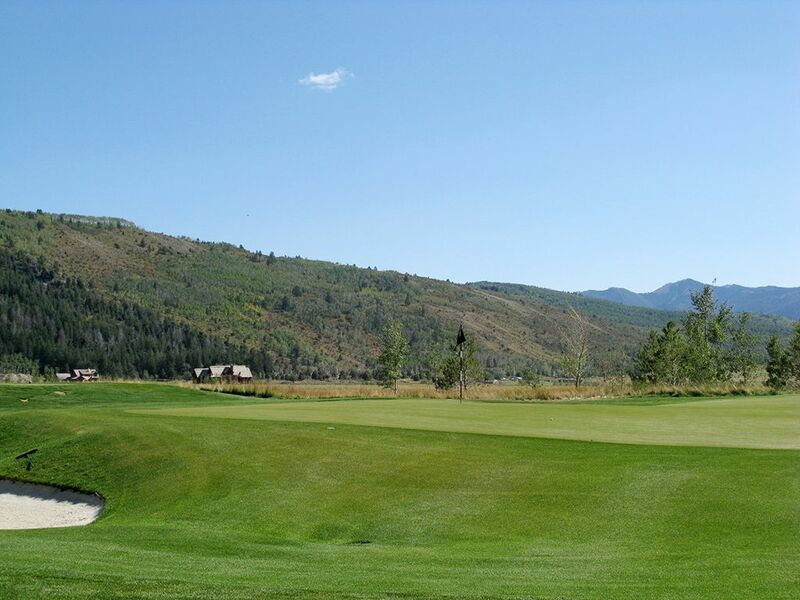 Signature Hole: 10th Hole – 669 Yard Par 5 – In Teton country everything is big; the Tetons, the views, the sky. To epitomize that grand scale Hale Irwin designed the ideal signature hole for Teton Reserve; a downhill 669 yard par five monster. 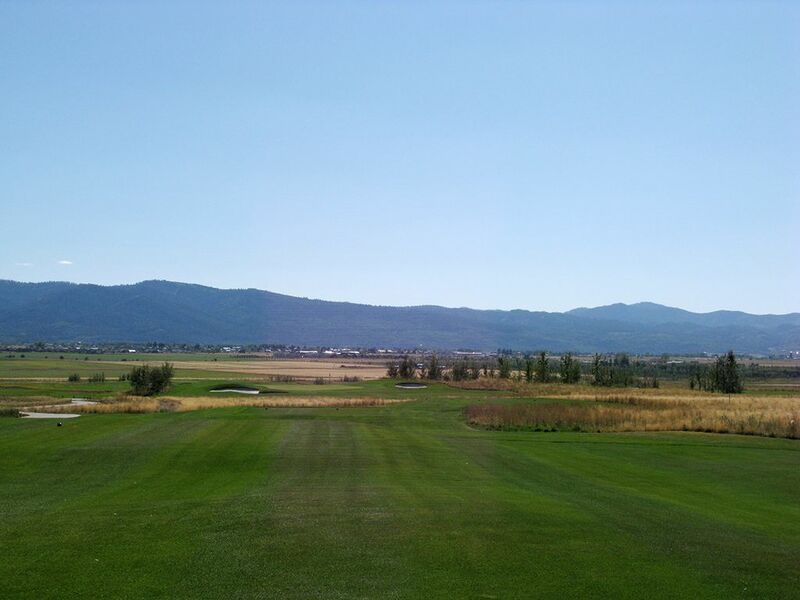 This larger-than-life par five is the second longest hole in the Gem State (777 yard ninth hole at The Links in Post Falls is the longest) and features beautiful views of the surrounding valley. Even on your best day there is little chance of reaching the green in two, but plenty of safety surrounds the green as an alternate fairway for a future reversible routing comes in behind the hole. 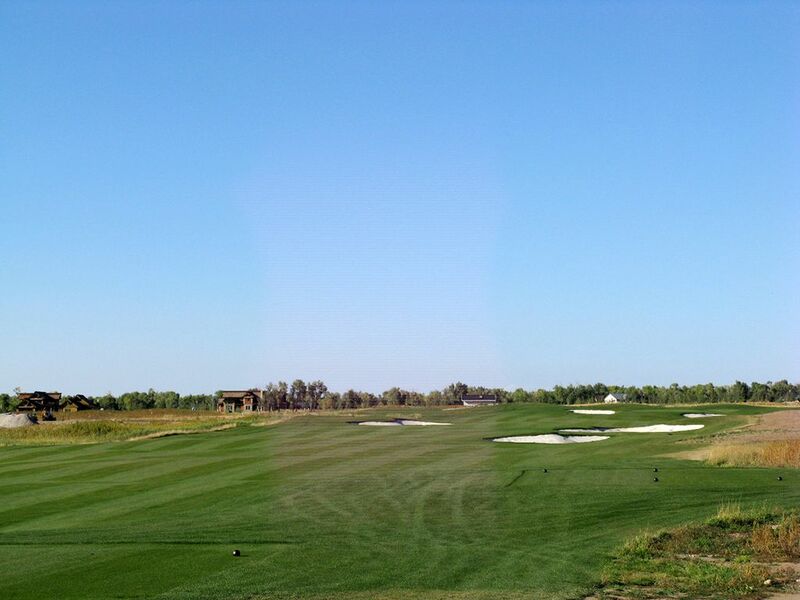 Stay out of the trouble up the left side and let 'er fly at one of the longest holes you'll likely ever play! Best Par 3: 6th Hole – 246 Yards – The downhill 6th hole at Teton Reserve is like many key holes at a golf course; great and difficult. The toughest holes are always the most rewarding to play well since they often result in trajedy. As the third par three on the front nine you should have plenty of warmup heading into this hole, but the lengthy par three plays over a large native grass area to a green with a small opening in the front right corner which is difficult to hit. A small patch of trees and U.S. Open type grass protect the left side of this green, but the flat out length is the holes most demanding feature. The views are soothing from this portion of the golf course so take it all in before hitting one of the most important approach shots of the day. Best Par 4: 12th Hole – 361 Yards – The short par four 12th has by far the most character of any hole at Teton Reserve and likely the best. While 361 yards doesn't sound driveable for most people, this hole actually is due to the dogleg shape and way it is measured. A creek runs through the middle of the fairway and down past the left side of the green thus offering havoc to drives and approach shots alike. The safe play is WAY right where there is tons of grass to play from which the risky play is up the left side where rocky soil frames the fairway and the creek comes into play but a chance of jumping up onto the green also exisits. From the tee box it is near impossible to tell exactly where the creek runs so having some course knowledge is extra valuable here. It is one of the few risk/reward holes at Teton Reserve that can mark you as a hero or leave you all wet. Best Par 5: 8th Hole – 551 Yards – All the par fives at Teton Reserve, other than the 10th, are of similar shape, style, and features. They play around 550 yards in length and generally play slightly uphill or slightly downhill with a handful of fairway bunkers in play as well as a greenside bunker. The 8th hole however has a bit more character due to the raised green and sparse knoll with trees resting behind it. The hole is very reachable in two strokes and the spine through the middle of the green and tight lie chipping area to the right of the green add some spice to the hole to separate it from its counterparts. The 8th hole represents the 3rd par five on the front and a great chance to score well before making the trip across to the back nine where the holes get longer and more difficult. Birdie Time: 4th Hole – 144 Yard Par 3 – I will almost never feature a par three as the "birdie time" hole since there are generally reachable par fours or par fives that yield a greater opportunity to get under par, however when you play a course that tips out at 7426 yards and are presented with a 144 yard chip shot par three then you make an exception. 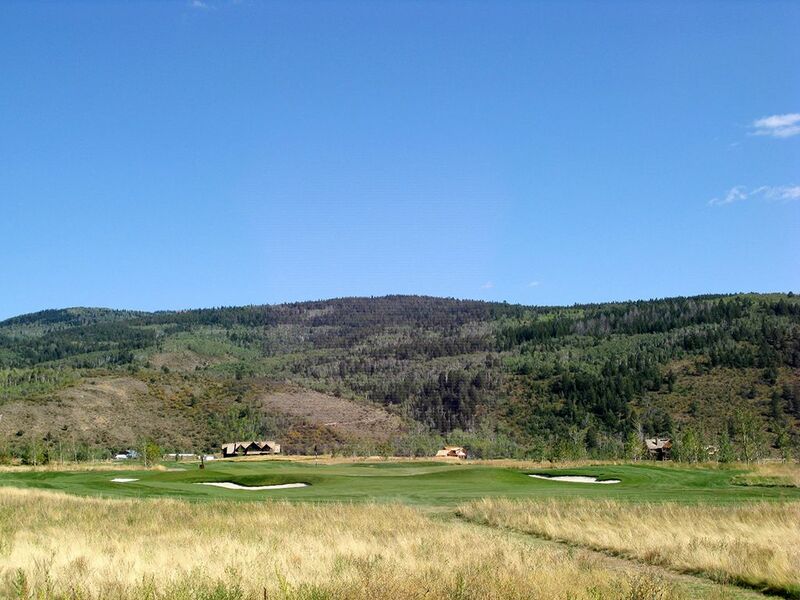 The fourth hole at Teton Reserve is short and plays to a relatively simple green without oodles of trouble. With a wedge or low iron in your hand there is no reason not to go pin seeking and try to get an early birdie in your round. Bogey Beware: 13th Hole – 441 Yard Par 4 – When playing a skins game with a decent sized group of quality golfers it is to be expected that par won't be bringing in any money. However, par would have done just that in a recent outing we held there. Some friends and I played Teton Reserve in a Ryder Cup type style this fall and none of the 12 players involved in the matches were able to score par here. On the card it looks relatively simple, but is has a way of getting to you and thus meriting its status as a "bogey beware" hole. The hole doglegs left and it can be difficult to determine a good line of play, beyond that is the fairway bunker on the right, trouble up the left, and the undulated fairway. The wide, shallow green creates additional trouble once an approach shot is to be had since the often windy conditions can throw a ball off just enough to miss this green. While the hole isn't terribly long or laced with tons of trouble, it is just enough to cause most golfers to stumble.